American tastes have gotten increasingly adventurous. Basic time-worn dishes don’t bring in new patrons nearly as much as creative global flavors, and new twists on familiar food motivated by international cuisine. But even those searching out new flavors need to find them accessible—rather than unidentifiable. Restaurants that bridge the familiar with the exotic will be able to capitalize on a growing trend. Ethnic-inspired cuisine accounts for 8 out of the 20 top food trends in the National Restaurant Association’s 2018 Culinary Forecast. From exotic spice palettes and seasonings, to up-and-coming regional cuisine, to ethnic-inspired dishes for kids, the demand has never been stronger. Fusion dishes are a gateway for patrons to try new flavors in a somewhat familiar concept—or enjoy common flavors in a more exotic format. These mashups make it possible for ethnic flavors to be featured in just about any restaurant style, from high-end sit-down to fast casual. To win over customers to trying these new flavors, fusion dishes should be relatable and easy to identify. A few ingredients—especially including familiar ones—will be much more accessible than complex unfamiliar offerings. International ingredients like wontons and tortillas can serve as a fusion base to more mainstream flavors. And these ingredients themselves aren’t unfamiliar to American diners, but they can then encourage patrons to try even more authentically ethnic foods. Many restaurant diners enjoy comfort foods, and it can be a natural fit for fusion cuisine because it is so accessible. But it’s also important to still offer the basic non-fusion comfort foods for those who are craving nostalgia more than adventure. Another growing category that is ripe for fusion creations is that of healthier dining options. With natural/non-GMO ingredients, smaller portions, and vegetable-forward recipes, dumpling and tapas trends with ethnic seasonings are an intriguing match. The sweet tooth can also be engaged in the quest for ethnic cuisine. While confections will always be a draw, the popularity of efforts to increase sugar in the American diet gives ethnic fusion an interesting opportunity. Many ethnic cuisine styles use less sugar and overall sweet flavor than many American styles, so reduced sugar desserts incorporating non-traditional ingredients can be an appealing draw for patrons looking to indulge without blowing their calorie or carb budgets. 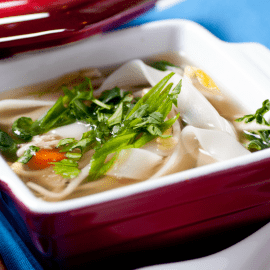 Embracing ethnic foods and fusion recipes is a great opportunity for restaurants across a number of food service models. With increasing demand and an endless number of ways to implement these intriguing flavors into the American restaurant landscape, 2018 is the year to embrace global cuisine and make it a part of your menu. What Do New Delivery Trends Mean for Your Restaurant Business?